An eruption of the Yellowstone National Park supervolcano could last for over a year. The park sits on top of the world’s largest active volcano, which erupted around 640,000 years ago and sent ash across most of North America. The two other recorded eruptions are 1.3 million and 2.1 million years ago. 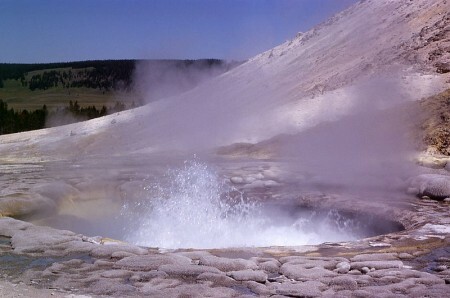 While discussing the effects of an eruption, supervolcano scientist Bob Smith told NBC that an eruption could last for a long time. “These giant eruptions in Yellowstone – the supervolcano, if you wish — probably last many, many months, maybe even years,” Smith said. The story also discussed news that is actually six months old–that Smith and other scientists discovered that the magma pool underneath the volcano is about 2.5 times larger than previously thought.